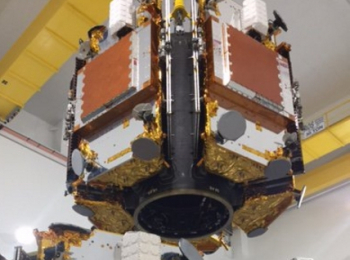 With just 20 satellites of the Iridium Next constellation in orbit, Iridium Communications’ six remaining launches with SpaceX over the next year will place their entire 75 satellite network into polar orbit. 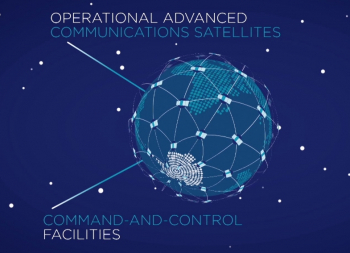 The new constellation replaces an aging network and promises innovative, everyday telecommunications applications from airplane location services to maritime distress/communication to public global push-to-talk services to civilian remote wi-fi and cellular network capabilities to thousands of other applications for government, military, and civilian populations. Last month’s launch of Iridium Next 11-20 satellites represented the second of Iridium’s eight launches contracted with SpaceX for the launch of their Iridium Next constellation – a 75 satellite network (66 operational and 9 spares) designed to replace the venerable original Iridium constellation. The original network, launched over 13 missions between 1997 and 1998, saw 95 Motorola-designed satellites bring reliable and continuous communications services to Earth’s polar regions. Originally, engineers believed 77 operational satellites would be needed to attain this goal, and it’s from this number that the communications constellation takes its name – as Iridium is the 77th element of the periodic table. 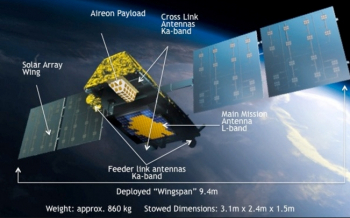 As engineers began designing the constellation and its capabilities, they realized only 66 satellites with crosslink data capability were needed for complete global coverage. This crosslink had never been done before on the commercial side of space-based communication. In all, 95 of the 98 original Iridium satellites were launched, with 66 in active service and 29 serving as spares. Placing spares in orbit proved highly beneficial as the original design lifetime for the satellites was seven years, with maximum operational service engineered at nine years. 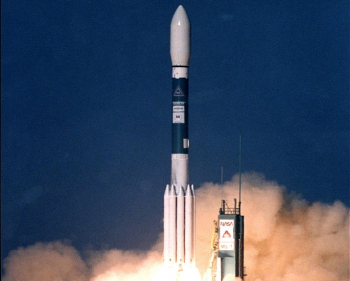 It has now been 20 years since the original Iridium satellites began launching – highlighting the robustness of the system due in large part to the number of orbital spares available. To date, 20 of the original satellites have required replacement, 19 for systems failures and one – Iridium 33 – due to collision with Kosmos 2251 in February 2009. Under the Motorola parent company, the original constellation was not a commercial success, with consumer demand at the set price point not allowing for revenue. Despite the bankruptcy of the original operator, the constellation continued offering services to a niche market of journalists, military, and scientific researchers/explorers who required telecommunications services outside the range offered by GEO satellites. Years later, when Matt Desch joined Iridium Communications, Inc. (the follow-on company that emerged to manage Iridium), the original satellite network was aging, and Desch took on the role of gaining capital to replace the network and create a commercially viable business model for the new constellation. 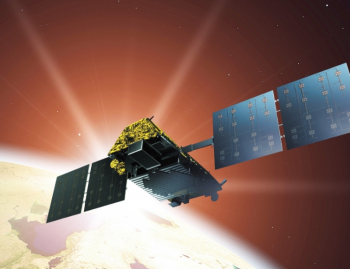 With 20 of the 75 new satellites for Iridium Next already in orbit, the process of replacing the aging constellation with the new satellites is underway. 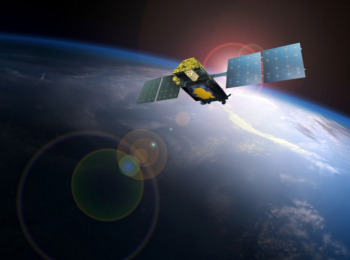 Part of the complex deployment plan for Iridium Next is the aim that the transition between the old constellation and the new constellation be seamless for its customers. This is accomplished through a somewhat complex orbital ballet between the new satellites and the originals. Once the new satellites are launched into the same six orbital planes as the original satellites and have completed their activation and health checkouts, each new satellite is moved into close relative position to the original satellite it is to replace. 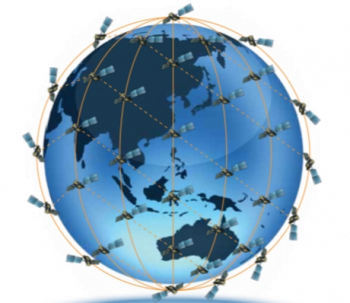 The original satellite is then decommissioned and the new satellite assumes its telecommunications duties and maintains the overall global coverage map for existing services. The original satellite is then taken through a series of thruster firings to lower its orbit for a destructive reentry and disposal into Earth’s atmosphere. Unlike the original constellation which contained 29 on orbit spares, Iridium Next only has nine on orbit spares as the new constellation is more robust in its design – built to last 20 years instead of the original’s seven to nine year lifespan. While Iridium Next won’t be fully active until next year, the new satellites already provide 12.5% coverage across Earth with only eight operational Next satellites – all of those being from the first launch in January. Importantly for the polar regions, the entire Iridium Next constellation does not need to be in orbit to attain full, 100% coverage of the poles – a milestone that is expected to be reached later this year after the fourth batch launch of Next satellites. 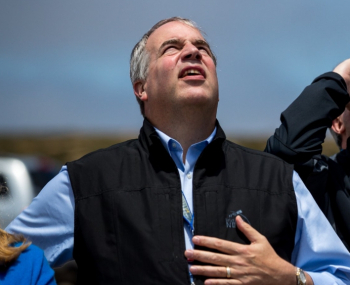 Nonetheless, as the original constellation is replaced, the connection the engineers have to the original satellites after working with them for 20 years is fully embraced by Iridium Communications. So beloved are the original satellites that the operations team has employed a bit of humor to the original constellation’s retirement, creating photos of the satellites in retirement on various tropical beaches or marking the end of their service with gravestones etched with the original satellites names and dates of service. Importantly though, Iridium is excited not just by the replacement of the original constellation and the ability to maintain its current telecommunications services but also by the major advancements and new services Iridium Next offers. Of the new communications services enabled by Iridium Next, perhaps none is more wide-reaching or impactful for the general public then the advancements to commercial aviation. In a media briefing and one-on-one interview with NASASpaceflight.com’s Chris Gebhardt, Iridium Communications Inc. CEO Matt Desch discussed the enhancement to global tracking for commercial aviation brought by the Iridium Next constellation. “There’s a renovation going on with air traffic control,” related Mr. Desch. The renovation is the Next Generation Air Transportation System (NextGen), an FAA (Federal Aviation Administration) program designed to transform the U.S.’s Air Traffic Control (ATC) system from a radar-based system with radio communication to a satellite-based one using GPS technology. The goal of NextGen is to shorten routes, save time and fuel, reduce traffic delays, increase capacity, and permit controllers to monitor and manage aircraft with greater safety margins. The system began its rollout in 2012 with expected full implementation by 2025. 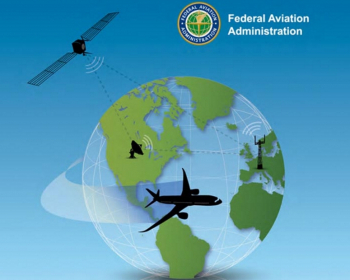 As part of this plan, all airlines had to install new transponders into their planes that broadcast the GPS position of the plane and tell the ground stations (part of the Automatic Dependent Surveillance – Broadcast [ADS-B] system) where the plane is – instead of the ground stations telling the plane where it is. According to Mr. Desch, “There was push back on this from some of the airlines because while the value of the technology is great and helps the FAA, the airlines wanted to know why they had to put thousands of dollars into their airplanes when the benefit wasn’t immediate. 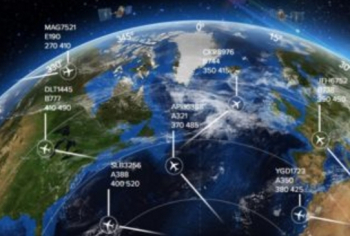 Nonetheless, while NextGen was slowly being realized over land, the problem of being able to see planes through real-time monitoring over the trans-oceanic routes in the Pacific and the North Atlantic was still a problem because ground tracking stations that have ADS-B receivers aren’t present in the oceans. In short, Mr. Desch’s idea was that the Iridium Next constellation could be equipped with ADS-B receivers – thus allowing planes to constantly and continuously communicate their air speed, altitude, and position regardless of their location on Earth. The same innovation taking place in U.S. ATC could potentially be deployed across the trans-oceanic routes by allowing planes greater freedom of movement outside of the daily established air traffic lanes across the oceans. “Airplanes today are supposed to be kept 60 miles apart,” said Mr. Desch. “There are still these conga lines across the North Atlantic where faster airplanes can’t pass slower airplanes and planes are kept at altitudes they don’t necessarily want to be at until the plane in front of them checks in. While the FAA saw the benefit, they couldn’t own or be a stakeholder in the development of the system. So Iridium needed customers. “We needed the network to have a business case on its own. We knew that the real value was putting airplanes closer together (30 km instead of 60 km), allowing them to climb faster, burn less fuel, save money, reduce carbon emissions,” said Mr. Desch. 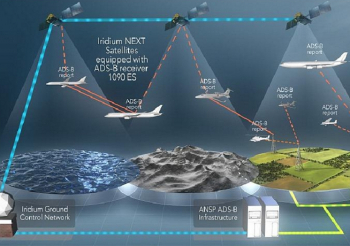 NAV Canada immediately saw the potential and application for the system. Moreover, the airlines, some of which were initially skeptical about the return they would receive from spending thousands of dollars to upgrade their planes, immediately saw the benefit of the increased efficiency the Iridium plan offered for trans-oceanic routes – which is where most of the major airlines earn the bulk of their revenue. In turn, the airlines – the customers of the FAA – informed the FAA how much of a priority this was and how badly this innovation was needed. To this end, the technology for the system was incorporated onto all Iridium Next satellites, and the system has already shown its worth via the eight currently in service Iridium Next satellites. “The 10 that were launched back in January, the receivers can see planes a lot farther than we thought they would be able to. And they’re more sensitive than we thought they would be,” noted Mr. Desch. Even more so, the trans-oceanic routes are not the only air traffic corridors that stand to benefit from the new satellite-based ADS-B system on the Iridium Next constellation. The polar air traffic routes also stand to profit. “For most of the world, you don’t want to put planes close together when there are still holes in the middle latitudes” that won’t be filled in until the entire Next constellation is active, related Mr. Desch. 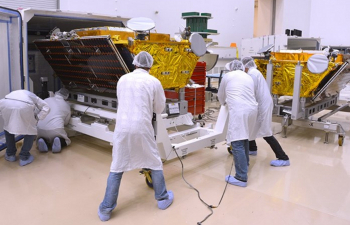 Importantly, the Iridium Next constellation is not only designed to serve the airlines or provide maritime distress services or deliver services to remote science research teams. “Those things are just new capabilities that we’re going to put in play,” stated Mr. Desch. The Next constellation will continue many telecommunications services for the general public already enabled by the current Iridium network as well as expand upon those capabilities. 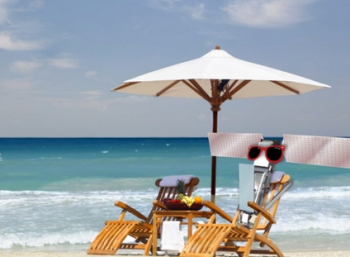 Moreover, for terrestrial and maritime purposes, handsets and WiFi hotspots “are popular to talk to anyone in the world through a device that makes a satellite connection that enables a Push To Talk (PTT) service. “That service is most interesting to first responders, military, work groups – anything from road races to all kinds of services that need Global PTT capabilities,” related Mr. Desch. This multi-user communications ability extends also to the forestry service, commercial fishing fleets, and numerous other customers – and will likely prove invaluable during natural disasters that disrupt ground-based cellular and WiFi services. But that’s only 40% of the constellation’s use. The fastest area of growth is in the voice and texting realm – especially for the maritime market. “The growth areas are Maritime for internet connections on the tens of thousands of ships we’re installed on,” noted Mr. Desch. But that’s still not the greatest share of the business. “Over half of our subscribers and a pretty significant portion of our revenue is in the IOT area, the Internet Of Things. “Over 500,000 devices are active everyday on our network, including heavy equipment like Caterpillar and John Deere machines and all sorts of devices that track heavy equipment and provide information about the engine. “We also provide for oil and gas pipeline monitoring, ocean buoys for tsunami warnings, ocean gliders for monitoring the sea, tuna buoys for fishing, we have tens of thousands of trucks that are tracking drivers. We have power line monitoring and sewage water observations through devices on manhole covers. “There is monitoring of wind farms, containers, a lot of DOD applications for monitoring assets like power generators, fuel levels in fleets, and deployed soldiers walking around in a field who have trackers sewn into uniforms. “There are thousands more, like industries that rely on cell phone coverage and then realize that cell reception only covers about 10% of the planet. Needless to say, the applications are nearly endless for the Iridium Next constellation – a service that will undoubtedly aid in ways that will largely go unnoticed/unrecognized.